CTV is getting into the serialized drama game, beginning with Giles Blunt’s award-winning John Cardinal mysteries. Bell Media announced the ordering of the six-part Cardinal (working title) from Toronto-based Sienna Films and Entertainment One. 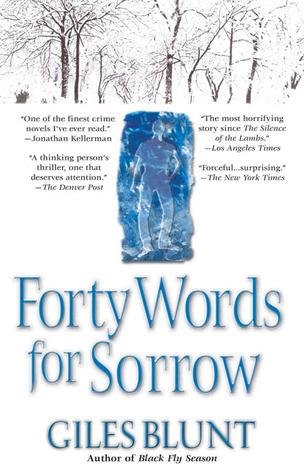 Adapted from Forty Words for Sorrow, the upcoming project—set to bow as part of CTV’s 2016-17 broadcast schedule—follows detective John Cardinal and his new partner, Lise Delorme, as they investigate the death of Katie Pine, a 13-year-old discovered in an abandoned mine. Production on Cardinal is scheduled to begin in February 2016 in Northern Ontario; casting has not been announced. “This was one of those projects that we really thought would appeal to our audience,” Corrie Coe, senior vice-president of independent production tells TV, Eh exclusively. “There is something really great about this world that Giles Blunt has created. Cardinal has made mistakes, but he’s an honourable man and isn’t a cliché detective who’s drinking too much and his family life is in the skids.” Coe notes the character of Delorme will stay true to the printed word as a French Canadian and filming will be in the north because that region plays a big part in the novels. Cardinal is being developed for CTV by showrunner and executive producer Aubrey Nealon (Orphan Black); Daniel Grou (19-2) will direct. A six-part limited-run series makes total sense. The success of serialized dramas like Fargo and Broadchurch signals a North American audience pumped for compressed projects like Cardinal. Will you tune in to Cardinal when it hits the small screen? Comment below.